Hello and welcome to another edition of the WCU PodCats Podcast! In honor of graduation this past weekend we are launching a new series over the month of May spotlighting different groups of well known alumni beginning with former Catamount Athletes. Josh and Patrick highlight five current and former professional athletes that went to WCU that made it all the way to the NFL, NBA, or MLB. 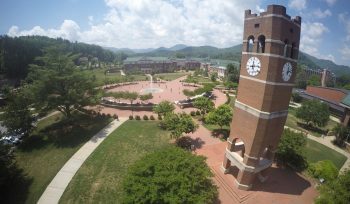 Remember to subscribe, download, rate, and review the PodCats on iTunes and iTunesU, like us on Facebook, follow us on Twitter, and touch base with us on podcats.wcu.edu. Thanks for tuning in, and as always… Go Cats!